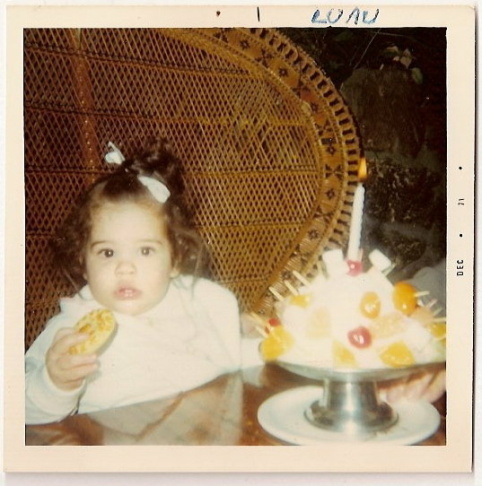 Alison Martino celebrates her first birthday at the Luau tiki restaurant in Beverly Hills. 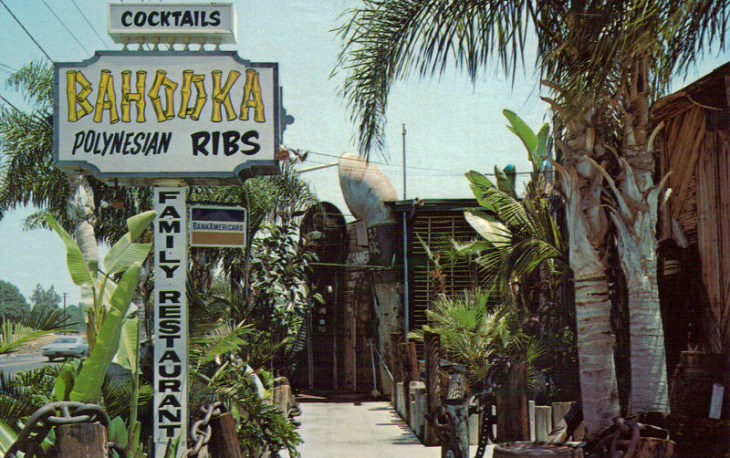 The exterior of Bahooka restaurant in Rosemead. 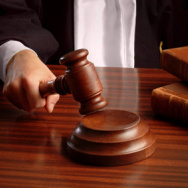 It will close its doors on March 10, 2013. 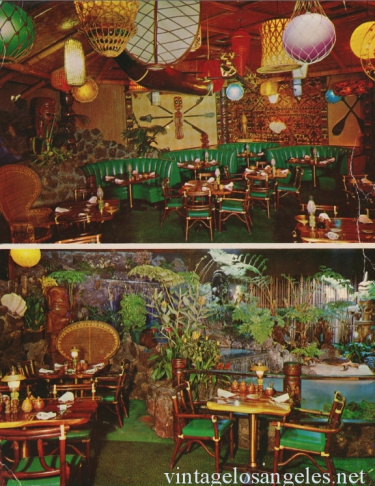 The interior of Bahooka restaurant in Rosemead, which Alison Martino likens to being inside a fish tank. 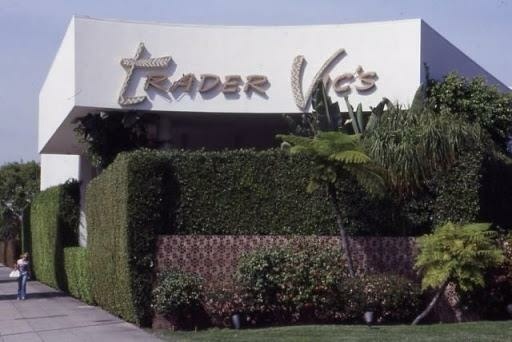 The original Trader Vic's at the Beverly Hilton. The tiki god at the entrance was later replaced when it was discovered the wrong tiki had been sent. Inside Trader Vic's at the Beverly Hilton. 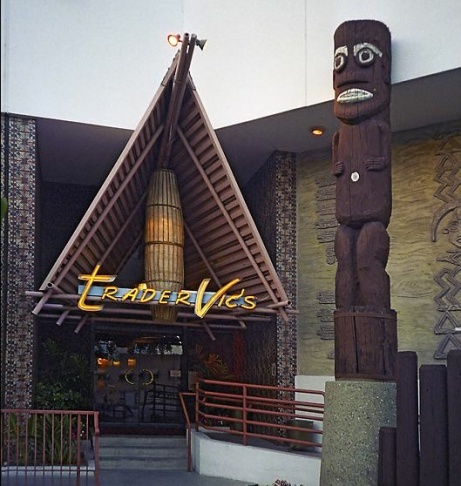 The revamped Trader Vic's at the Beverly Hilton. 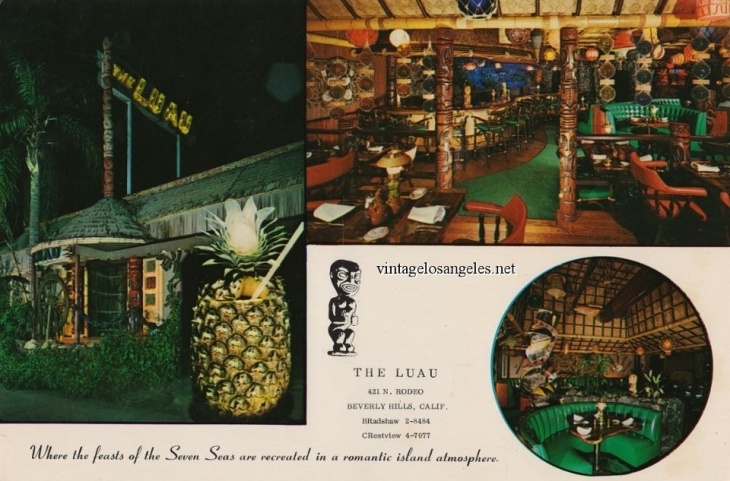 Postcard from the Luau restaurant in Beverly Hills. 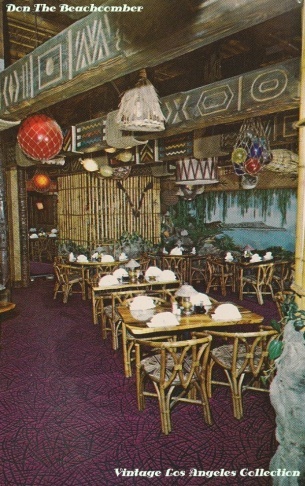 Interior of the Luau restaurant on Rodeo Drive, Beverly Hills. 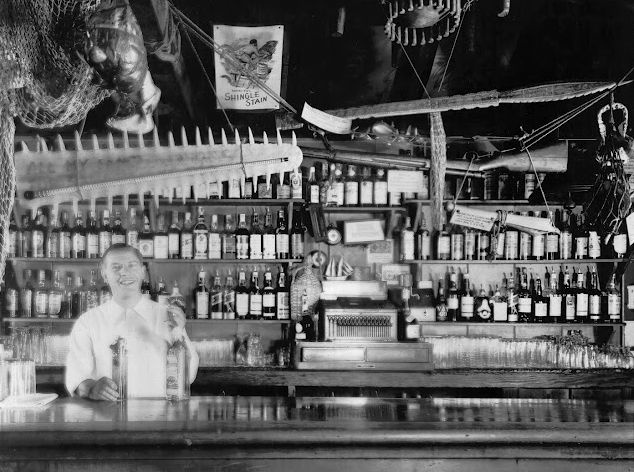 The Tiki-TI bar in Silverlake, photographed in 1961. 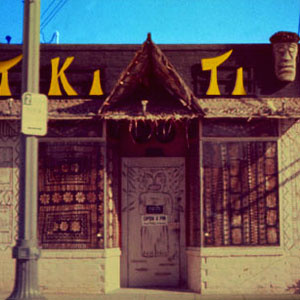 The Tiki-Ti bar still stands today on Sunset Boulevard in Silverlake. The Islander on La Cienega, photographed in 1966. 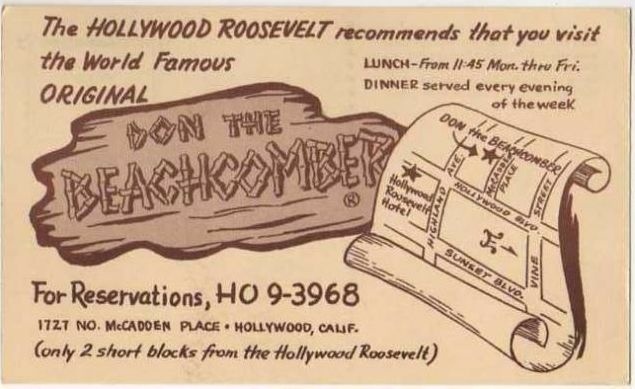 Advertisement for Don the Beachcomber, the original tiki restaurant opened in 1934. The bar at Don the Beachcomber. 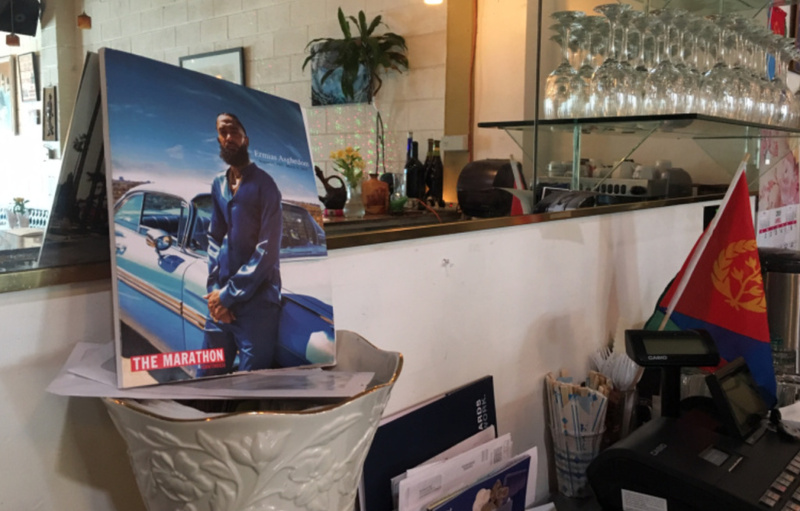 If you're looking to dine out this weekend, you might want to head to Rosemead. That's where you'll find Bahooka - a tiki-themed, family restaurant that's been serving up crab puffs and fruity cocktails with names like Lak-A-Nooki and Cobra's Strike since 1967. Sadly, Bahooka is closing this March 10. 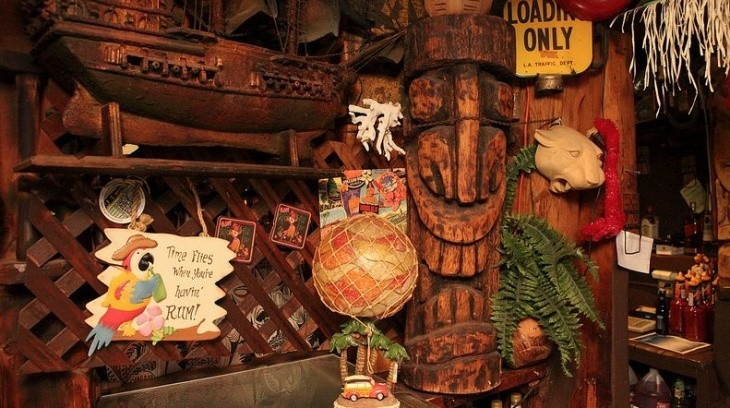 Alison Martino will certainly be making a final run to see the beloved tiki restaurant. 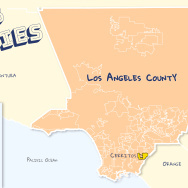 She's the founder of the "Vintage Los Angeles" website and Facebook page, and a lover of all things kitsch. 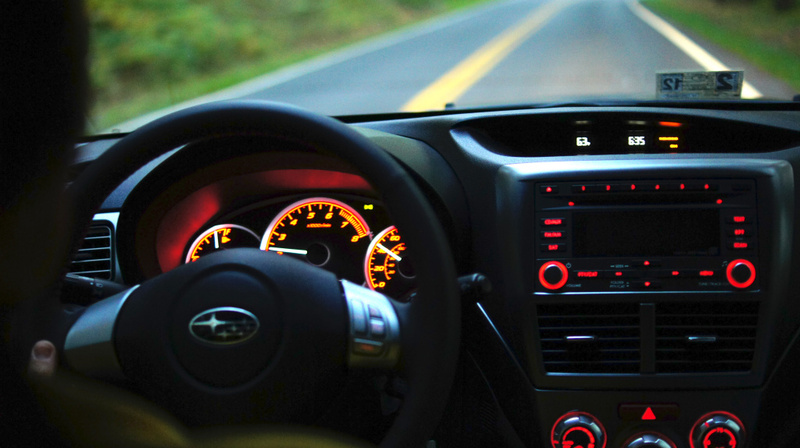 "I think my favorite thing is the see-through fish tank bar," she says of the interior, which she describes as akin to being inside a giant fish tank. 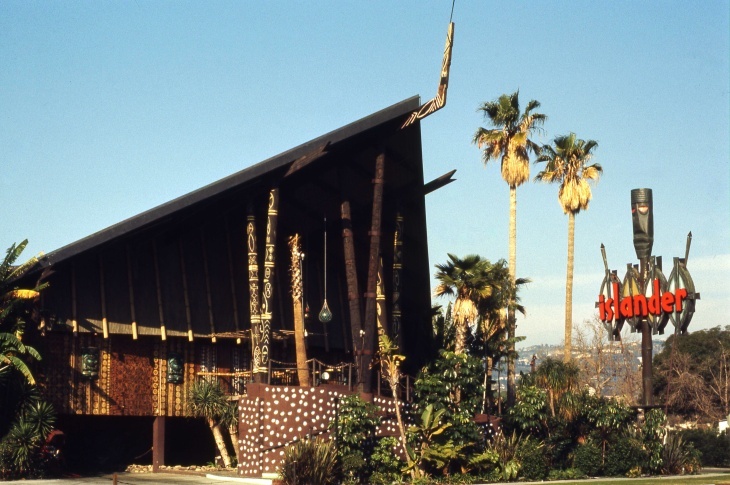 Bahooka is just the latest of a slew of once-popular tiki-themed restaurants to shut down in Southern California. 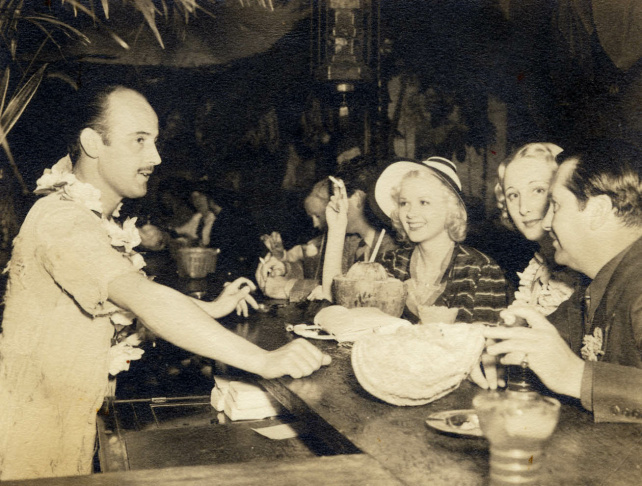 The original Don the Beachcomber opened in 1934 and kicked off the Polynesian craze which led to Seven Seas and later Trader Vic's and the Luau in Beverly Hills. 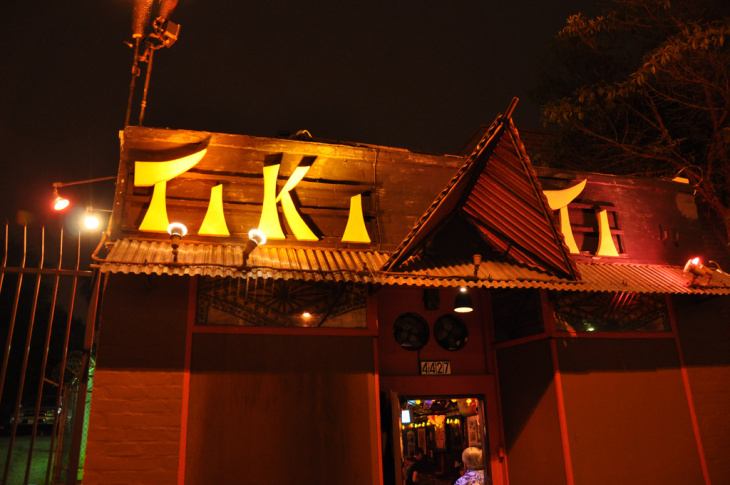 Martino says you can still get a taste of authentic tiki culture at the Tiki-Ti bar in Silverlake. 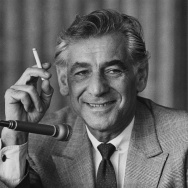 It's founder Ray Buhan was an original bartender at Don the Beachcomber. 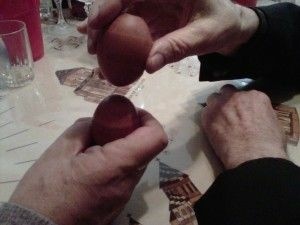 He opened the Tiki-Ti in the 60s and his family has been running the bar with the same tropical drink recipes ever since.